We have had the pleasure of speaking with Moteah Williams. 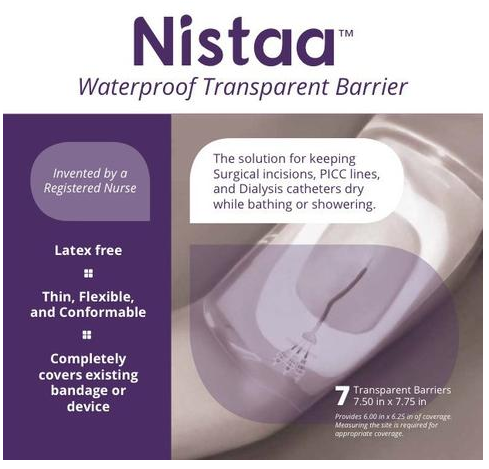 Moteah is currently a Registered Nurse as well as the inventor of the Nistaa waterproof transparent barrier. The barrier is used to protect PICC lines and catheters and keep them dry when bathing or taking a shower. Moteah was kind enough to answer some of the questions we had on PICC line dressing changes that many patients have asked us. What’s a PICC line dressing change? How important is it? “PICC line dressings are used to protect the PICC line insertion site from outside contaminates such as fluids, dirt or microorganisms (e.g. bacterial, fungi or viruses). PICC line dressings may also be used to secure the PICC line to the patient’s skin to prevent displacement. Changing the PICC line dressing is very important, for it reduces the patient’s risk of developing an infection of the blood”. Does it hurt to get your PICC line dressing changed? “A PICC line dressing change involves removing the adhesive dressing from the patient’s skin, sterilizing the insertion site and the surrounding skin and then applying a new sterile dressing to the PICC line insertion site. Removing the dressing should not be painful, but some patients may experience mild discomfort while removing the adhesive dressing from the skin”. Note: Certain adhesives are less painful that others. Ask your RN what type of medical adhesive they use and what brand it is, so you can determine what components the adhesive has. From talking to hundreds of patients, and personal experience,silicon adhesives are the best for the skin. Can I do a PICC line dressing change myself or does it necessarily have to be done by a healthcare professional? “A patient should not attempt to change the PICC line dressing. A PICC line dressing change is a sterile technique that can be done inpatient, outpatient or at home by a home health Registered Nurse (RN). What are the steps in a PICC line dressing change? How often should I get my PICC line dressing changed? “The dressing should be changed every seven days. If the dressing becomes wet, soiled, loose, dirty, or open to air, the dressing must be changed immediately to prevent microorganisms from entering around the insertion site. The patient is at risk for developing sepsis if a microorganism enters the insertion site. Sepsis is an infection of the blood which could be life threatening if it is not caught in time. It is imperative that the patient notifies the physician or the RN if the PICC line dressing becomes wet, soiled, loose, dirty or open to air”. We would like to thank Moteah Williams for taking the time to provide all of this useful information with us. For more information, make sure to check out her website www.nistaa.com as well as her YouTube video. Enter “Mighty Well” in the discount box on the checkout page to receive a $1 off each package purchased! There is no limit for the discount. 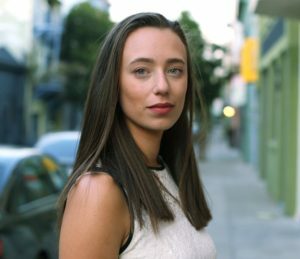 Emily Levy, CEO & Cofounder of Mighty Well, uses Nistaa on a daily basis; Emily’s opinion on this showerproof cover is the following: “Nistaa is the only shower barrier that I have used that allowed me to have full mobility of my PICC arm and allowed me to clean the areas around my dressing while in the shower”. Got more questions about PICC Line? Join us in our Friends in the Fight Group to connect with our community. Spoonie Stories: Join the Lyme Community! The mission of Mighty Well is to help patients and their caregivers turn sickness into strength. We are leading the global charge that changes the perception of patients from victims to fighters. We do this by improving the experience of being a patient. We create the products we wish we’d had: functional and stylish apparel and accessories that you can wear with confidence - and content that can help you get through the good times and the bad. It’s wellness you can wear. It all started with a cut off sock, a cute hockey player, and an 8 AM finance class. Oh, and a PICC Line. That moment inspired us to launch our first product, the PICCPerfect PICC Line Cover. We know it stinks to feel defined by a diagnosis or feel like just a name on a doctor’s chart. Sounds like you? Read how our founder turned sickness into strength.